This installer made a couple of mistakes at this site. When running conduit you are not allowed to run it over a rain gutter. The type of conduit selected is also incorrect. 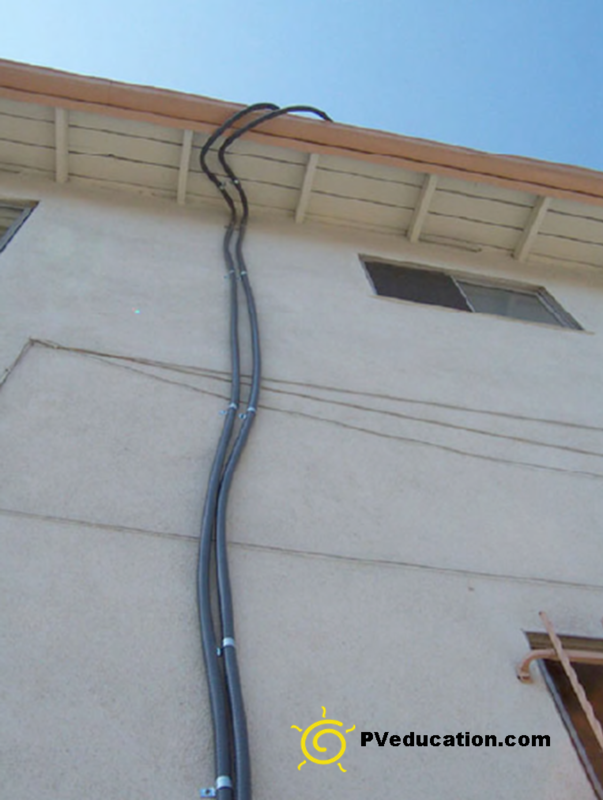 The installer used a conduit called LFNC, liquidtight flexible nonmetallic conduit also commonly referred to as Carflex. The two biggest violations is that this conduit isn’t listed for wet locations at high temperatures, 90C and this conduit shouldn’t be greater then 6 ft in length unless the flexibility is required. In a case like this PVC or EMT conduit should have been used. LFNC should never be used on the roof in a solar installation.